I loved this book so much. I’m just having such great luck with contemporaries lately! This reminded me so much of my trip to Italy that I took two years ago. The description of travel was so accurate it almost hurt. Lina’s initial response to walking up to the Duomo in Florence was exactly how I felt. It was amazing. Her first taste of gelato was exactly how I felt. The small adventures were just as important as the big ones. It was the perfect depiction of having new experiences. Then there’s Ren. Oh my gosh I love him so much. Right away you know that she’s going to fall for him because she HAS to. He’s cute, half-Italian, quirky. He’s perfect. I love them together. I love her father. He’s so sweet and loves her so much. I love that it’s not a “typical” familial tie but it works so well. I love that there’s a little mystery when it comes to the journal. 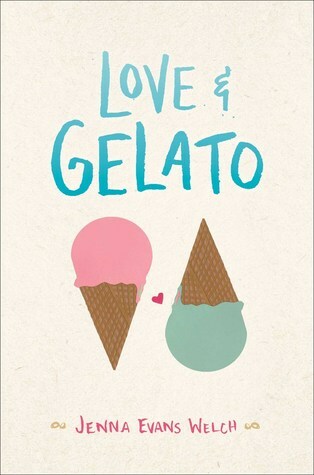 There was just so much to love about this book and it just makes me want to go travel in Italy again!